Whether you love going out to dance or you’re just a fan of many different music genres, you probably appreciate the slick sounds of a great playlist. However, learning the tricks of the trade yourself is tough without instruction. 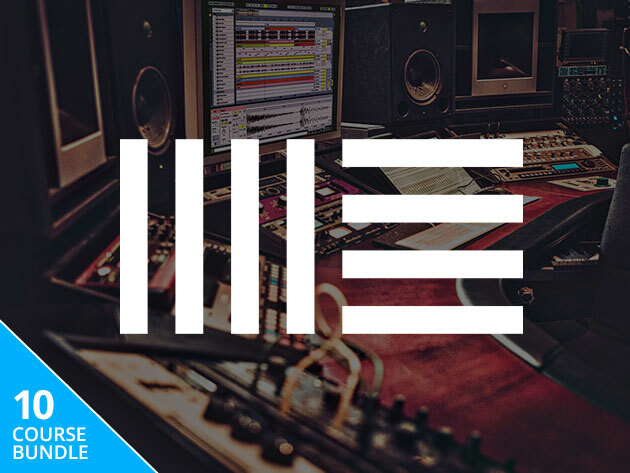 The Ableton Live Mastery Bundle by Noiselab contains ten classes that will have you rocking out in no time — and right now, it’s just $29.99. This bundle’s first class is a crash course in Ableton Live’s Digital Audio Workstation, breaking down the program’s interface and unique features. You’ll move on with a class in live DJing techniques, like MIDI mapping, extra effects, pad-based drumming, and more. The following courses teach you how to create your own sounds from scratch and streamline your Ableton digital workstation, so you can craft unique songs more quickly. After that, you’ll deconstruct popular songs, like Diplo’s “Get It Right” and DJ Snake’s “Magenta Riddim” to discover the techniques that make the pros sound so great. Wrap-up courses in sound design and the TR-808 drum machine help you polish your creations. Usually, the Ableton Live Mastery Bundle costs $700, but right now you can get started on your DJ dreams for $29.99 today.